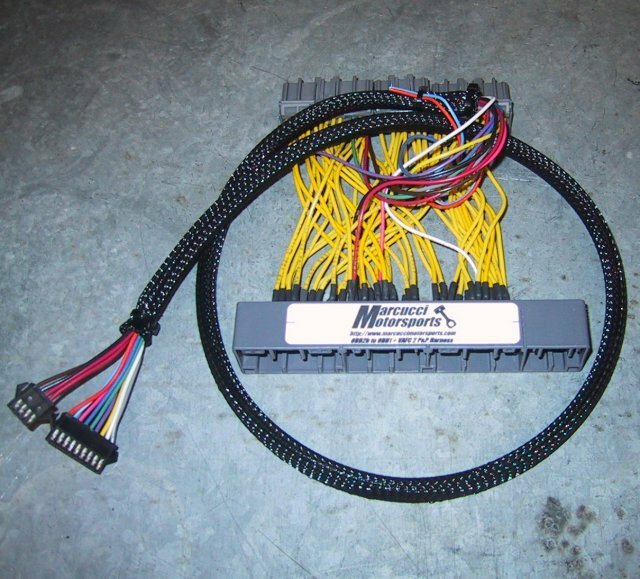 Responding to a demand for plug-and-play OBD2 to OBD1 conversion harnesses, and the then-new market for Apex’i VAFC controllers, Marcucci Motorsports was the first to develop the OBD Conversion + VAFC harness. Utilizing OEM suppliers, we were able to develop a plug-and-play harness that would both convert a 1996 or newer (OBD2) Honda/Acura to use a 1992-1995 OBD1 ECU. Additionally, a connector was provided to allow plug-and-play compatibility with an Apex’i VAFC controller. This unique combination was a market-leading innovation soon copied by the competition. If you have a custom application for a harness, whether a one-off or potentially for retail or wholesale (volume), we can help.